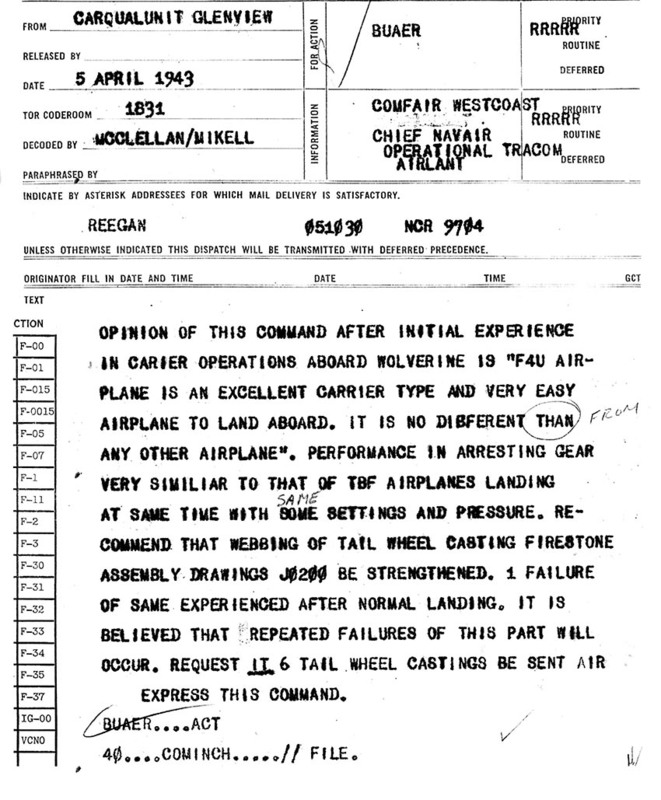 The conventional wisdom that the Vought F4U corsair was relegated to land bases until the Kamikaze necessitated increased fighters on carrier due to unsuitability is incorrect, but not until recently have documents been available to present the truth. 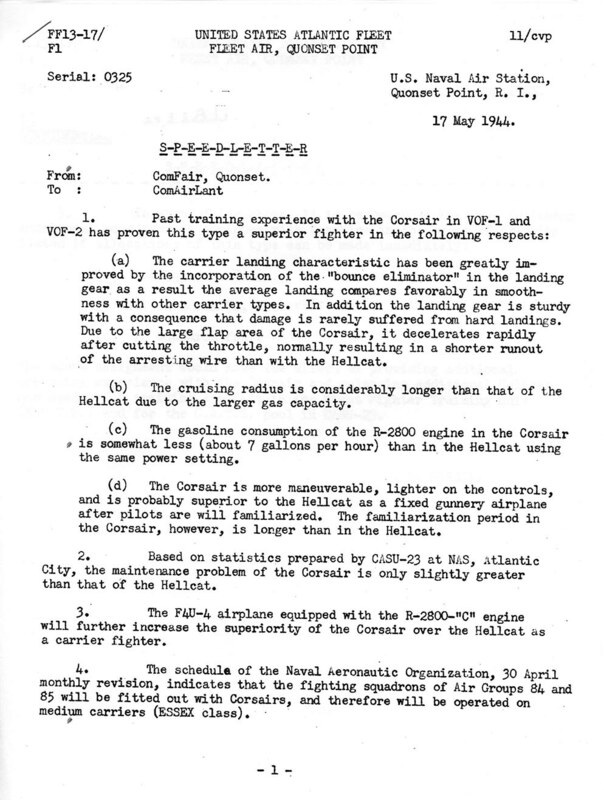 The Corsair was labelled an "excellent carrier type" after initial trials on the training carrier USS Wolverine IX-64. 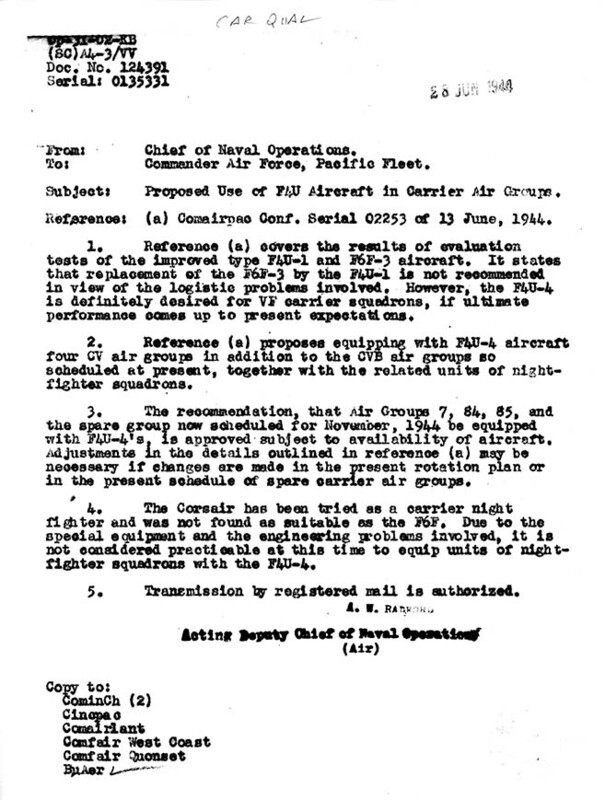 Vought's production factory was not capable of supplying the number of aircraft the Navy desired (note that Brewster and Goodyear were contracted to build Corsairs by the Navy to help satisfy demand). 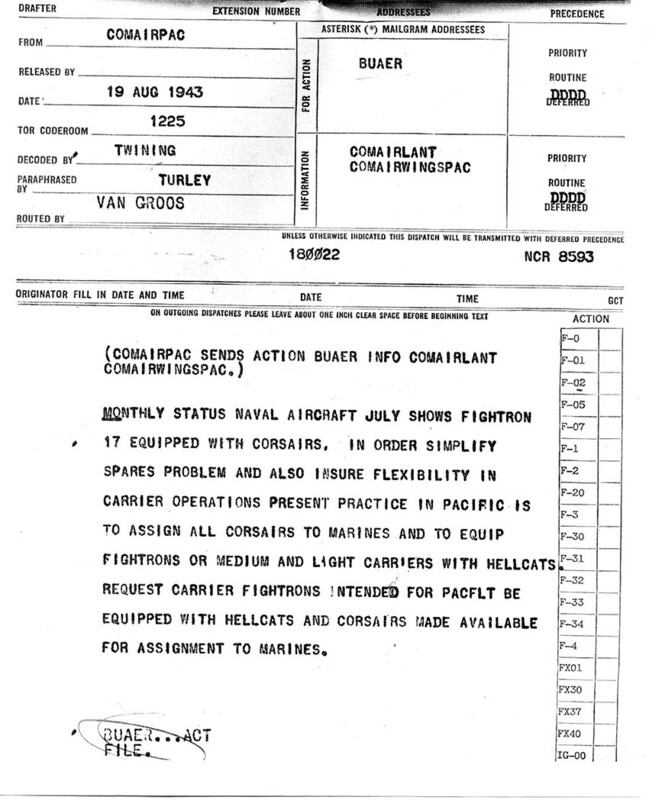 Due to this and the desire to simplify supply chains and stores on aircraft carriers, the decision was made to put the larger pool of aircraft (Grumman Hellcats) on the larger base of operations (aircraft carriers) and keep the smaller pool (Vought Corsiars) for the smaller operations (land-based squadrons). 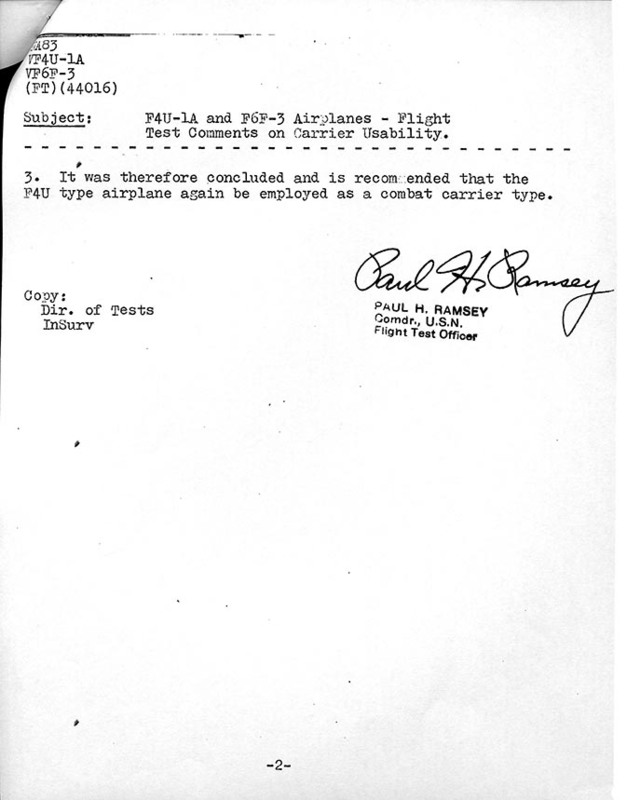 So in actuality, the deficiency was with the manufacturer more than their airplane. 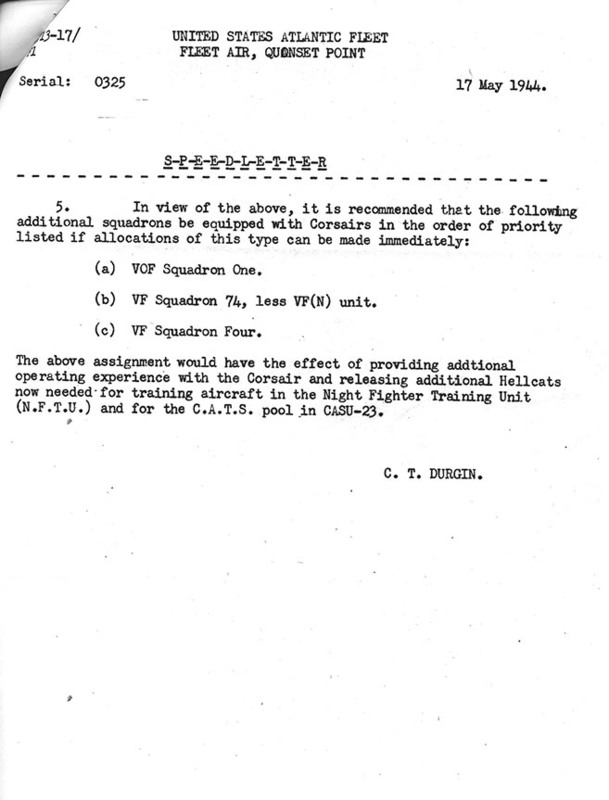 The below was written by then Commander Paul Ramsey, combat vetran and ace with Figher Squadron Two of of CV-2 Lexington. 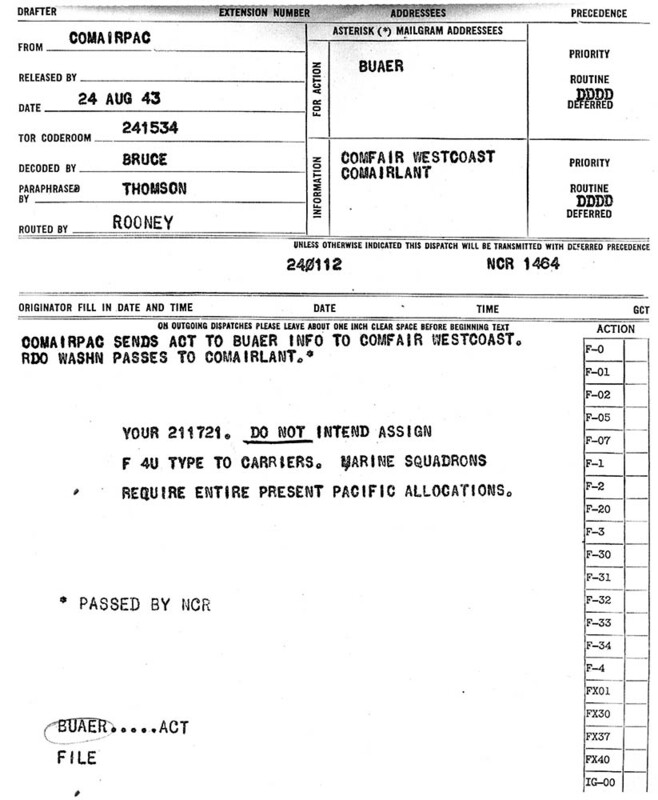 From April of 1943 to May of 1944 he served as Flight Test Officer at the Navy's Flight Test Department, which moved to Patuxent River in June of 1943. 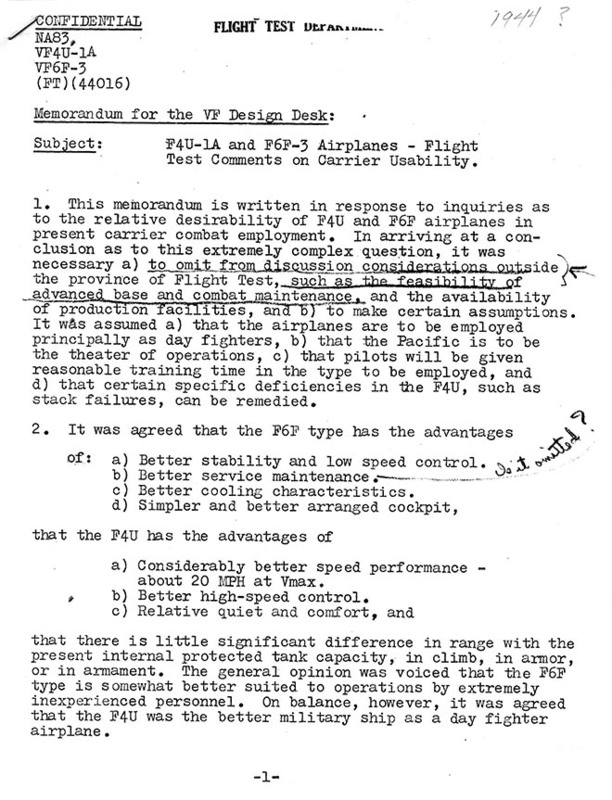 The "NA83" code at the top of the document indicates it was written at Patuxent, dating this memo from in between June of 1943 and May of 1944, when he was promoted to Director of Tests and was relieved as Flight Test Officer.